The following is an extract from How Long Have I Got? by best-selling author Fi Munro PhD. While everyone will have a different list of priority items to pack, here is my top ten ‘must haves’ for a long hospital stay. 1. 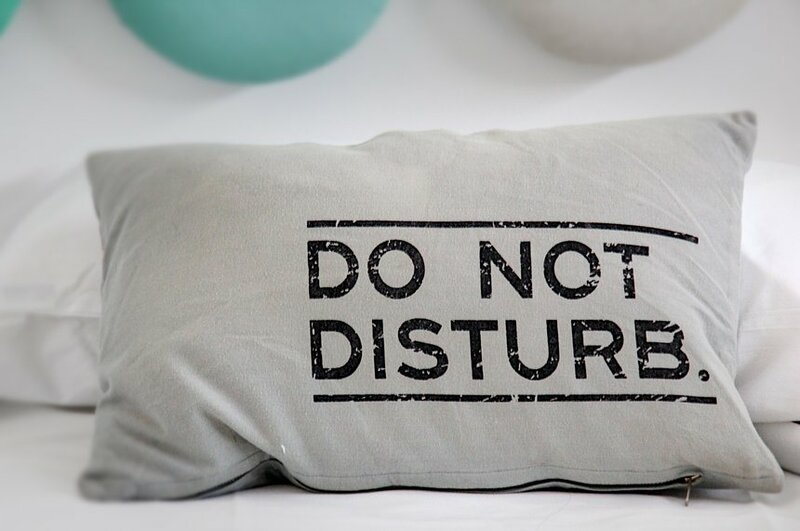 Earplugs and an eye mask: Sleep is one of the most important things for healing and yet, ironically, one of the hardest things to do on a hospital ward. It’s noisy and you have no control over when it’s ‘lights out’ (unless you are lucky enough to have a side room). Earplugs and an eye mask are lifesavers in this situation. 2. Nice toiletries: Let’s be honest you are in hospital for a reason so you are probably going to be feeling pretty crap. Some nice toiletries can make all the difference. If you will be able to have a nice shower while in hospital then take a nice shower gel. One that smells amazing. Moisturisers are essential too as your skin will get very dry and you’ll always feel better after using some cream, especially on your face. Personally, I just use coconut oil. Wet wipes are also a must-have! They allow you to quickly freshen up and feel more human when you get some visitors, even if you are unable to have a proper wash. I love essential oils and so always take a few of my favourites if I am going into hospital. Not only can they help with your emotional health but they smell amazing too. Lavender and geranium are great for helping you to rest and frankincense is a personal favourite of mine too. 3. An extra-long charging cable: You’ll usually find a plug up on the wall behind your hospital bed that you can use to plug in and charge your electronic devices. However, if you are charging with just a normal length cable you will be unable to use the device or have to contort your body to do so because the cable won’t reach your bed. An extra-long cable (I use a 3m one) helps resolve this and means you can always be connected to the outside world. 4. An electronic tablet: In the weeks following recovery from my surgery my tablet was a lifesaver. I was able to watch films, listen to music, stay in touch with people through social media and, of course, update my blog! Most evenings my hubby would sit in the chair beside my hospital bed while we caught up on our favourite TV dramas on my tablet too. This allowed some normality in our lives and was as close to cuddling on our sofa as we would get while I was in hospital. Another electronic device I took was my phone and, of course, headphones are essential too. 5. A V-shaped pillow: These large pillows are amazing after major surgery. They are super comfy and ‘hug’ your body as you lean on them, meaning that you feel fully supported. Not only did I use mine every day in hospital but also in the months following and whenever I went for chemo. In fact, I still use it now. There are available in most homeware shop and are inexpensive. 6. Bedwear: I love pyjamas and any excuse to buy new ones. Always make sure you take plenty of pairs with you into hospital. These are your clothes and bed wear while you’re in so you’ll be wanting them washed (by a helpful loved one) on a regular basis. Having lots of pairs with you ensures you have enough to keep you going. Take a nice cotton (not fluffy!) dressing gown too. It allows you to keep yourself decent when you in-laws or colleagues (for example) visit without becoming roasting hot or feeling like you are obviously in your pyjamas. Comfortable slippers with a rubber sole help for when moving around the ward without the risk of slipping. 7. Two drawstring bags for laundry: The helpful loved one doing your washing doesn’t really want to have to touch it. By packing two cotton drawstring bags you can fill one with your dirty washing. Then once full, it can be taken away and popped in a washing machine with your dirty clothes still inside. Your lovely, helpful loved one can then handle and dry the clothes once they are nice and clean and out of the machine. In the meantime, you can start filling the other bag to repeat the process. 8. Sensible pants: In my experience of being in hospital, other people (doctors, nurses, etc.) see you in your underwear a lot! For instance previously when I was in for a hip operation I had doctors needing to draw on my hip before surgery, check the site after surgery and nurses injecting blood anti-blood clot medication into my thigh each day. While I’m sure the staff don’t care what your underwear looks like, you’ll certainly feel much less self-conscious if you have some ‘sensible pants’ on rather than your best French lace when they are checking you over. Time to buy some super-sized undies! 9. Colouring books/Puzzles/Games/Books: I recommend taking a range of different activities. Sometimes your brain won’t manage it due to medication, pain or tiredness. Also remember when planning what activities you will likely want to do while in hospital that your brain will be a very different state from normal. 10. Games for visitors: When you’re in hospital you spend a lot of your time with visitors and sometimes you want to talk about your health and sometimes you don’t. A good distraction is to have a couple of games on hand (or ask them to bring one). My personal favourite are travel battleships, travel 4x4 and ‘Cards against Humanity’. The latter is definitely not one to play with Grandma, although my Mum and Dad are both huge fans! Menopause can be scary and bewildering. It’s a step into the unknown and especially so if you step into it far earlier than you’re meant to. Laura is slowly adjusting to the menopause and learning to deal with the symptoms and what it means to go through menopause as a young woman. Here she shares some of the things that have helped her on her journey so far.